Rummage Sale Sponsored by: Bethesda Christian Church P.E.A.R.L.S. Girls Ministry. Saturday, May 16th 9:00 A.M. – 3:00 P.M. Church Parking Lot at 2210 Basse Rd (enter from Neer) Spring Cleaning starts here! 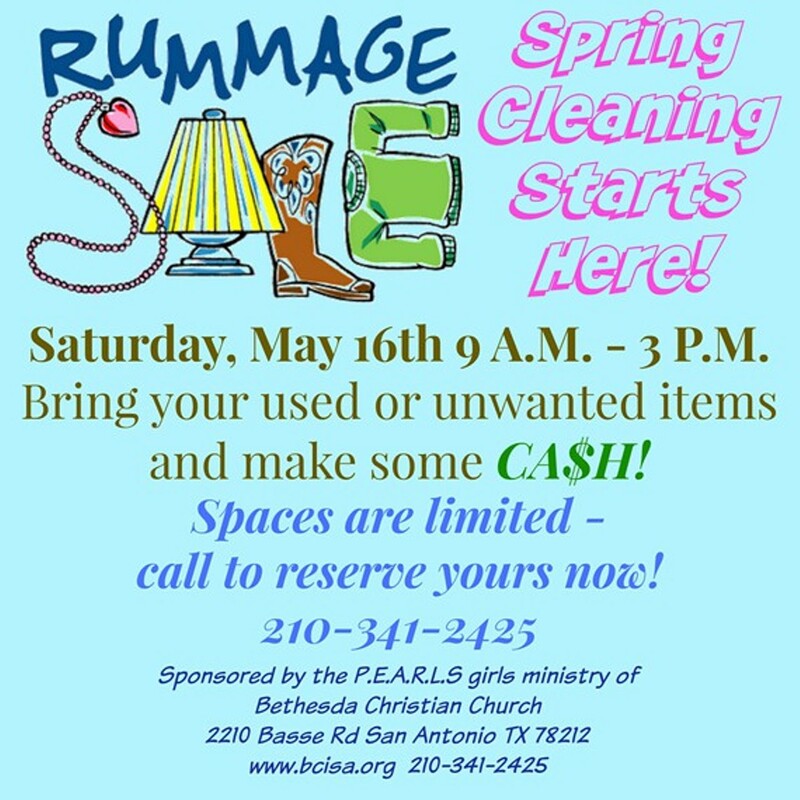 Bring you used and unwanted items and make some cash! Sell your jewelry, candles, crafts and more! SPACES ARE LIMITED – CALL TO RESERVE YOURS NOW! Single Space: $10 Table rental: $10 each Limited Combo Package: 1 space with table and a canopy tent for $35 (first come, first serve) For more information, please contact the church offices at 210-341-2425. 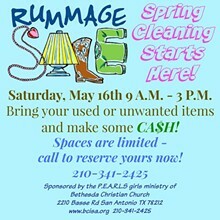 Please ask for Kimberly about the Rummage Sale.